A little while ago we shared the news that a new Puzzle & Dragons title had been confirmed for the 3DS, albeit without a name or details. Well, there's a little more to share now - it's called Puzzle & Dragons X and will arrive in Japan in 2016. It was confirmed by GungHo Online Entertainment and Nintendo in the latest issue of Famitsu, and unsurprisingly will be similar and include some content from the hugely successful release - in Japan at least - of Puzzle & Dragons Z. There will be more content, of course, in addition to extra 'RPG elements', while over 500 monsters are promised that can be raised and evolved; some abilities and equipment will also match up with monster's capabilities. There's not much detail beyond that, while it'll be interesting to see whether this one comes to the West. 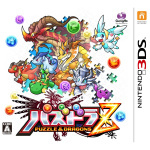 The dual pack of Puzzle & Dragons Z and Puzzle & Dragons: Super Mario Edition was heavily promoted in North America and Europe, though we're not convinced that paid off with the commercial breakthrough that Nintendo and GungHo Online Entertainment were targeting. We'll keep an eye on Z, in any case - are you hoping it'll be localised for the West? I hope it comes here. 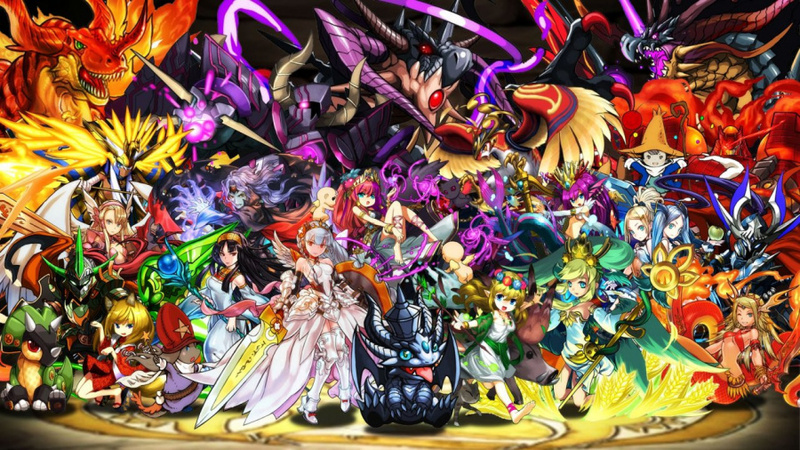 I liked the Puzzle & Dragons Part of that dual release. Why about Y? B/c Y like U? M-O-U-S-E. I think I'm burned out on "X" names Xbox, NX, Pokemon X+Y. And X seems like a step backwards from Z. Actually most letters, DragonballXV, FFXV. Maybe Ijust suffer form Roman Numerals fatigue? NFL has, Super Bowl L will b eo tSupr Bowl L, it will be Super Bowl 50. Next will be LI though, they'r'e just taking a break. And I still think next Xbox will be Xbox X, b/c nothig nelse works after Xbox, Xbox 360, and Xbox One. Unless they call it Xbox Eleven to match Windows 11 about the same time? So please Gung Ho, just give it a name. PaD:Excelsior or something, it still has an X in it, but it's a whole word. If Nintendo keeps NX as the console name and I have to buy MKNX, SSBNX and NSMBNX I'm done w/ gaming. Persona must feel your pain. They went with Q. Anyone else thinking that Nintendos next console might be called Nintendo Cross (X) I have heard it mentioned around the web in conversations. It just seems that a ton of Upcoming Nintendo games have X at the end. Xenoblade, Monster Hunter, Puzzle and Dragons. I get that applies to cross over style games, but it seems like everything is getting an X at the moment. @Megumi Don't forget the GameBoy game, "X." @Antray1984 Two of those games aren't Nintendo games, but made by third party studios. I doubt Nintendo would call there next console the Nintendo Cross, because it will just end up being called DoubleCross by the haters. But they are Nintendo exclusives. As in they are designed for that system and not multi platform. It has the whole '64' 90s vibe too it. Haters gonna hate X or no X. Maybe that should call it The 'Nintendo 3rd Party'. So no matter what happens, every time you play a game you can say you are playing a third party game. Haters wont like that. @SuperWiiU DoubleCross as in Nintendo double crossed us, or DoubleCross as in two Xs = X X = dead eyes = dead = doomed? I hope NA gets it, as I enjoyed puzzles an dragons Z. @Megumi There are also Project X Zone and Project X Zone 2. Yes come to the west! I also hope this gets a western release. But not too soon. I'm still working on both Z and the Mario version. I predict the next Puzzle and Dragons game to be Puzzle and Dragons V. Then we'll keep skipping letters until we get to B.
I actually preferred the Mario version. It had less forced monster-collection RPG aspects, which I liked. It's hard to keep up with uninteresting monsters and their evolutions, but was kinda fun and easy with familiar characters. Maybe this will come bundled with a Zelda version ?? ?